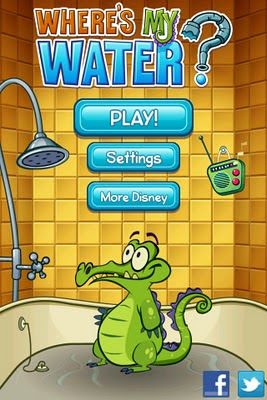 The surprise of this September (as all of us wait eagerly for the release of iPhone 5) has to be Disney Mobile’s new Puzzle Arcade “Where’s My Water” or WMW (as I’ll refer to it). 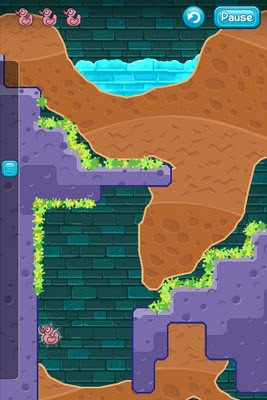 Released only recently on Sep 22nd and already topping Appstore charts, this app has managed to combine a familiar premise (Bring A to B) in the puzzle arcade genre, an intuitive interface (swiping the finger), and yet it has also introduced sufficiently new elements into the game in order to stand out from the crowd. In addition, with its rich and cutesy graphics, immersive levels, $0.99 pricing, WMW is definitely set to become one of the all-time greats, following in the footsteps of Angry Birds, Cut the Rope and World of Goo. 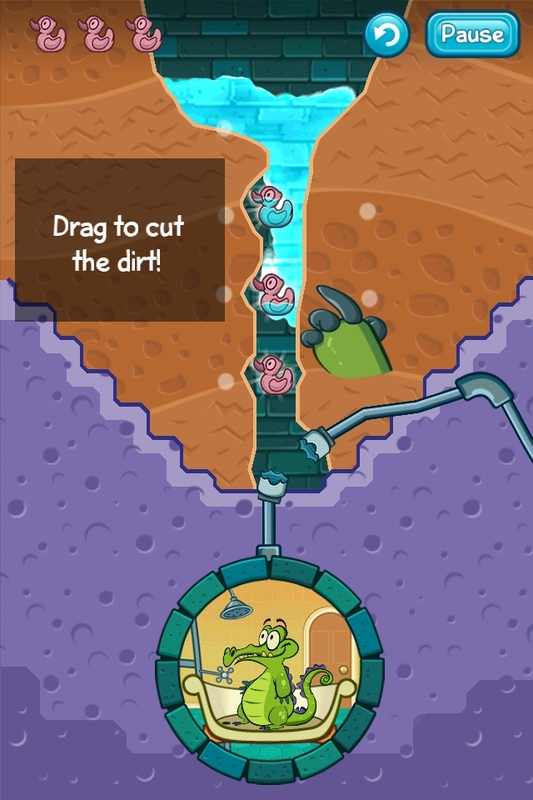 The main idea is to swipe and create a tunnel, usually starting from the top of the screen, leading down to the bottom in order to allow a pool of water from the top to flow correctly into a stationary bath tub where a Crocodile (with the name Swampy) is waiting. Cut The Rope fans will be instantly familiar with the game mechanics (guiding A to reach destination B), while World Of Goo fans sense déjà vu (fluid mechanics!). WMW is slightly better designed and suited for the iPhone/iPod compared to the World Of Goo – a wonderful puzzle arcade that I didn’t find playable on anything with screen-sizes smaller than an iPad. 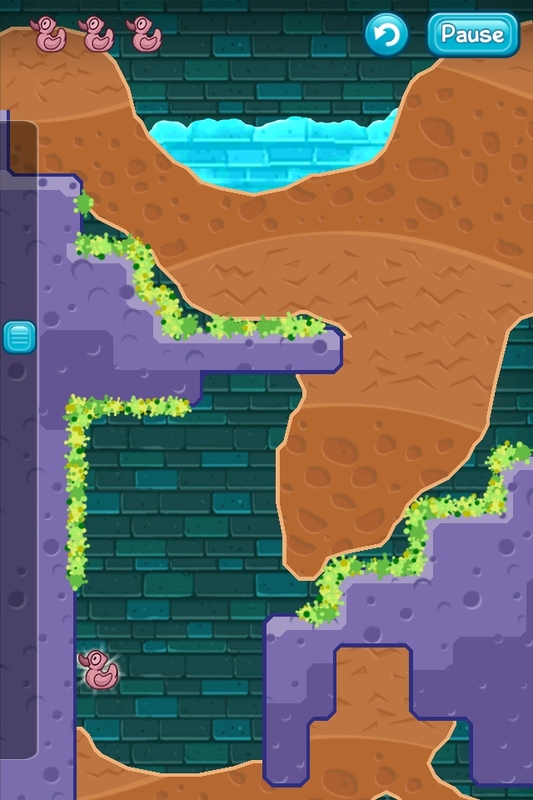 One of the newer game elements introduced by WMW is to have a slider on the left of the screen that increases the challenge by allowing more interesting puzzles which do not necessarily have to follow linearly from top to bottom of the screen. Slider on the left increases the challenge! I consider WMw’s peers to be other recent well-made releases like Feed Me Oil, Tiny Wings and Drop the Chicken. However, WMW’s game design is likely to be more enduring than all of those peers, such as Tiny Wings, which has dropped out of our collective radars very quickly when it could not hold our attention. WMW will prove to be $0.99 better value in this regard. Catch the Disney video trailer for the game below, also available on Youtube here. 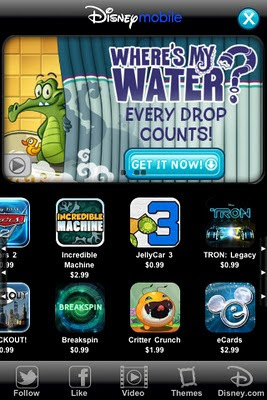 Disney Mobile (formerly known as Living Mobile based in Munich as reported here) has previously developed other apps that tap on various franchises like Toystory, Baby Einstein, Thor, Cars 2, and also ones that do not, such as Tap Tap Revenge, Kick Buttowski and Jelly Car. Disney’s acquisition of Living Mobile in 2005 has paid off and they ‘ve hit pay dirt with this one. 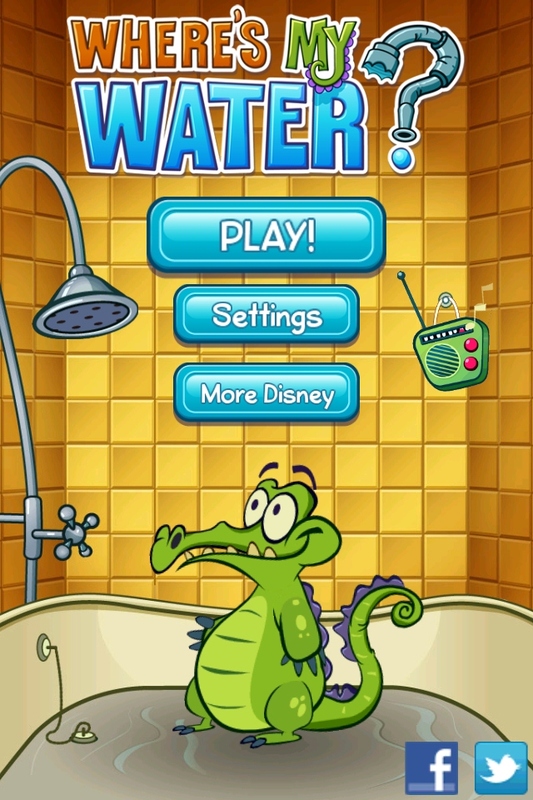 As reported by Huffington Post here, we could see more of Swampy the Crocodile paraphernalia and Disney movie tie-ups, if WMW continues to stay Number 1 on the Top Paid list at the Appstore. Link here brings you to the WMW Appstore page.